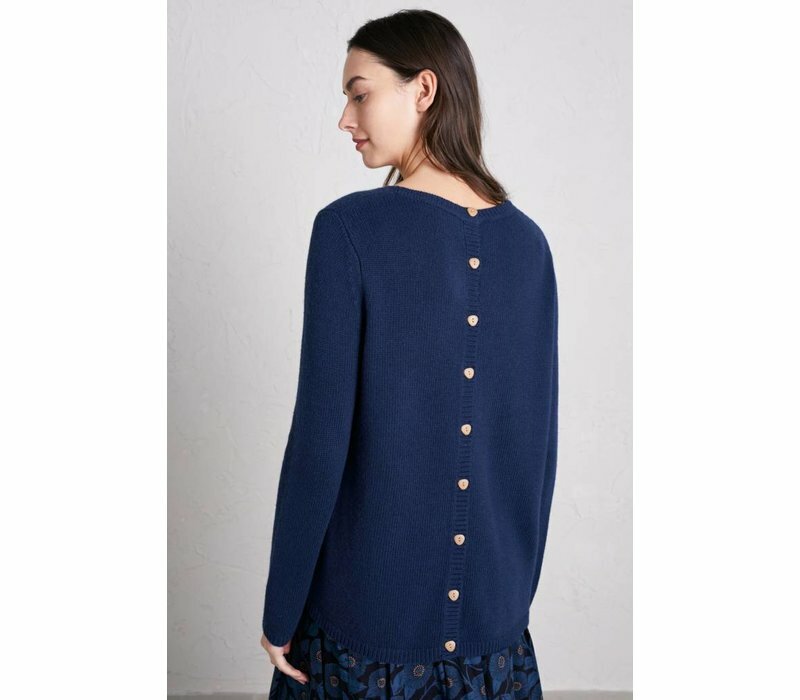 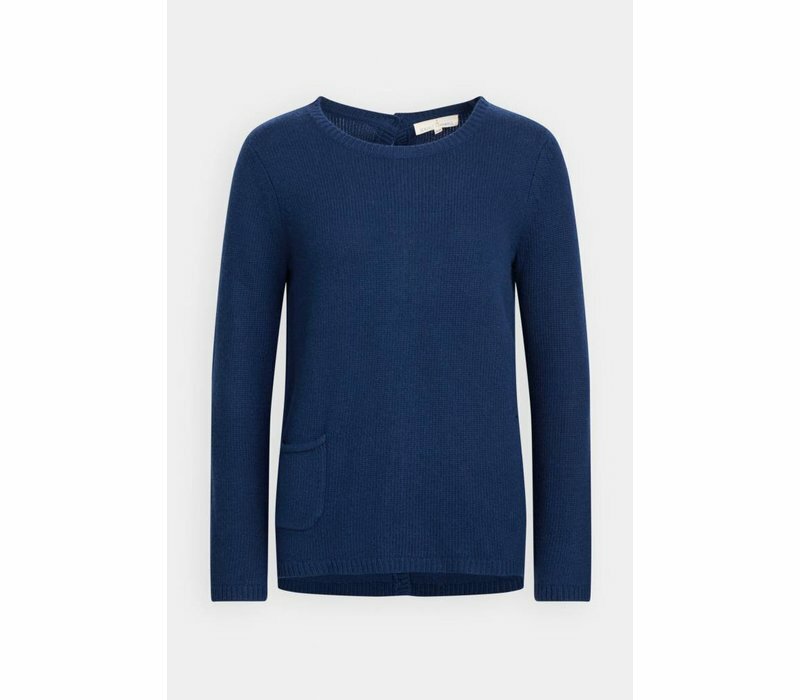 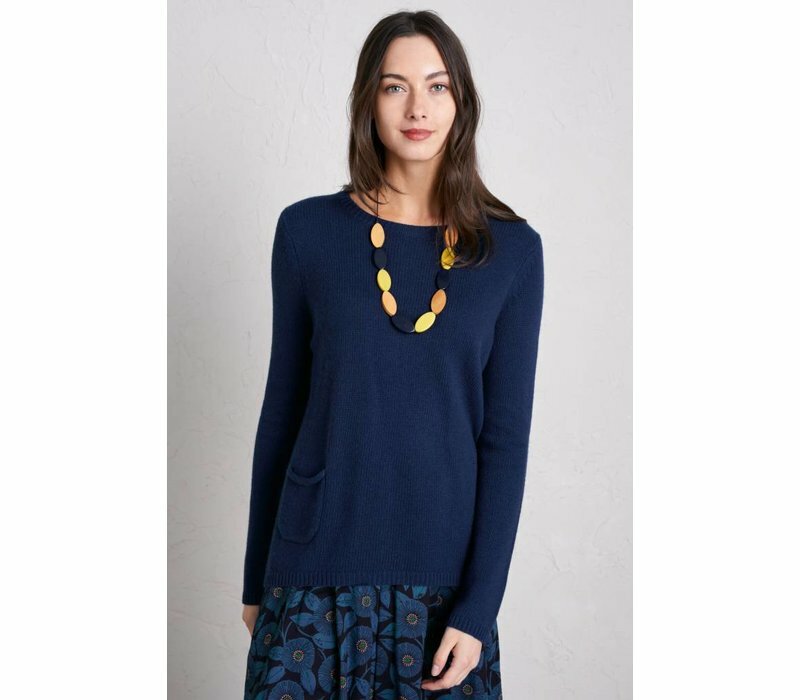 Made from a soft blend of wool, viscose and alpaca, the Lino Cut Jumper is beautifully detailed and flattering relaxed-fitting style. 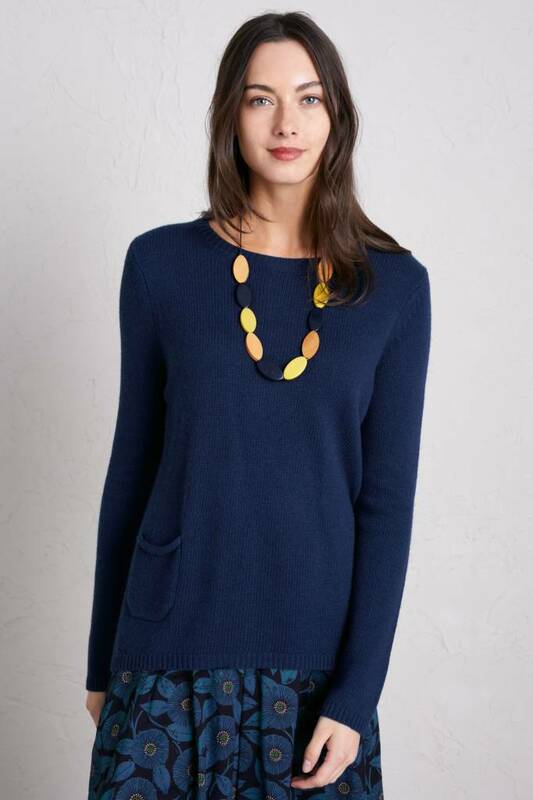 The elliptical hem and button-through back make it really stand out. 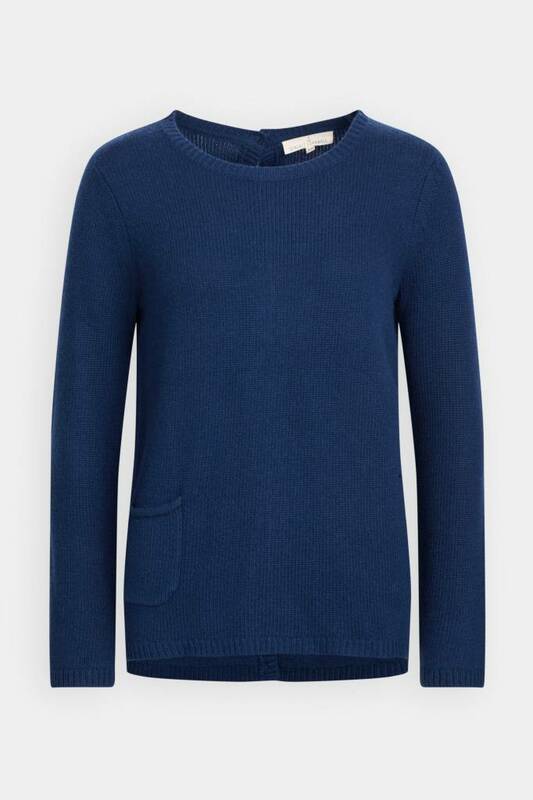 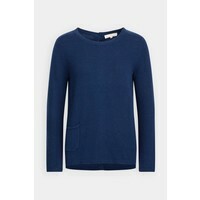 Finished with a ribbed neck, cuffs and hem and has a feature pocket with rolled edge finish.